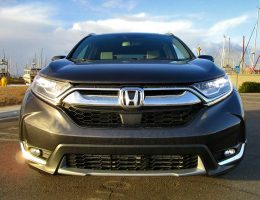 Everyone seems to want a crossover or SUV. 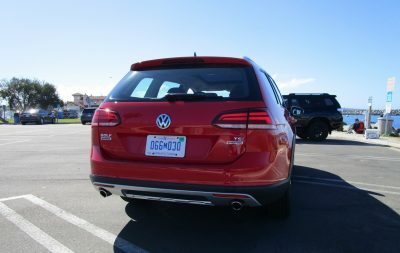 You’d think this would be bad news for makers of wagons like the 2018 VW Golf Alltrack, but just the opposite is true. 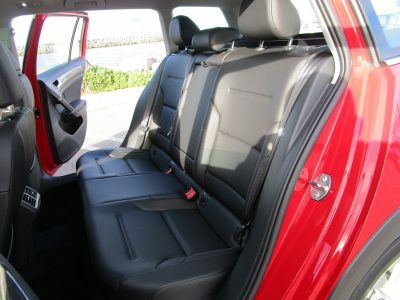 A lot of people like the added utility of ‘utes, but prefer a car-like experience. Or something in-between. 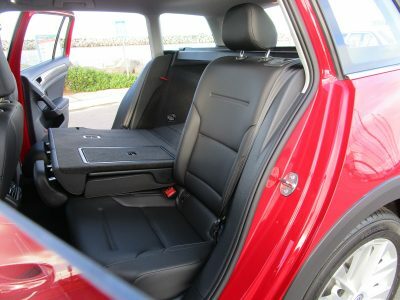 Audi probably should get the nod for the original Allroad creating the premium upscale “tall wagon”. 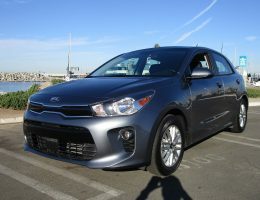 And you can thank the Subaru Outback for putting this type of vehicle in just about every neighborhood in the country. Especially where it snows. 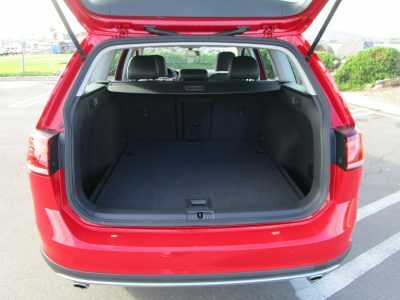 VW sells it shares of SUV/Utes as well, and has often had small wagons (Jetta and now Golf) in the inventory, so it seemed natural to catch the trend and bump it up a little taller, butch it up a little more, and Voila! 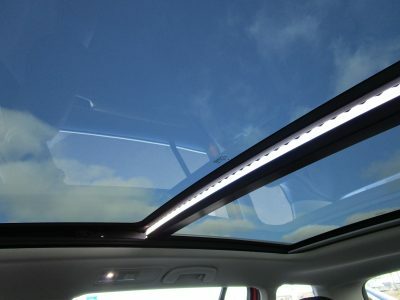 Golf Alltrack wagon. 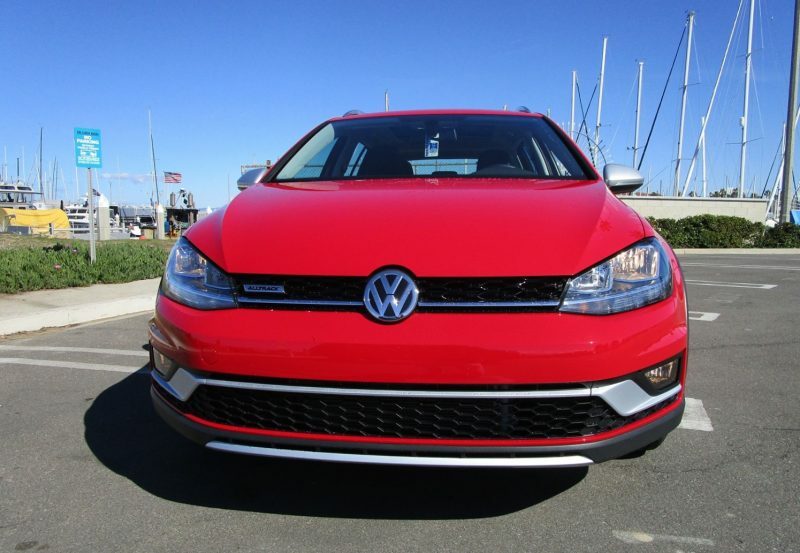 (or wagen if you prefer). 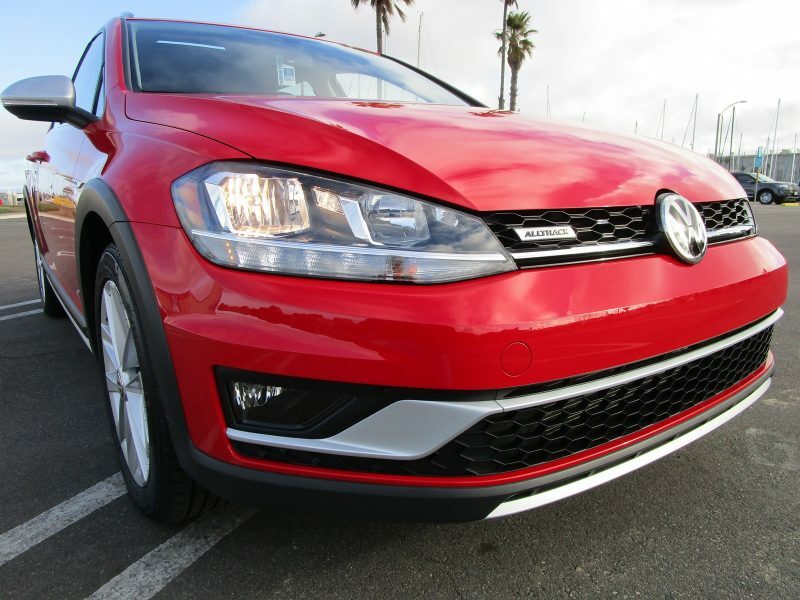 About a year ago, we tested a Golf SportWagen S 4Motion, so we were interested to see how much difference our Alltrack would be. 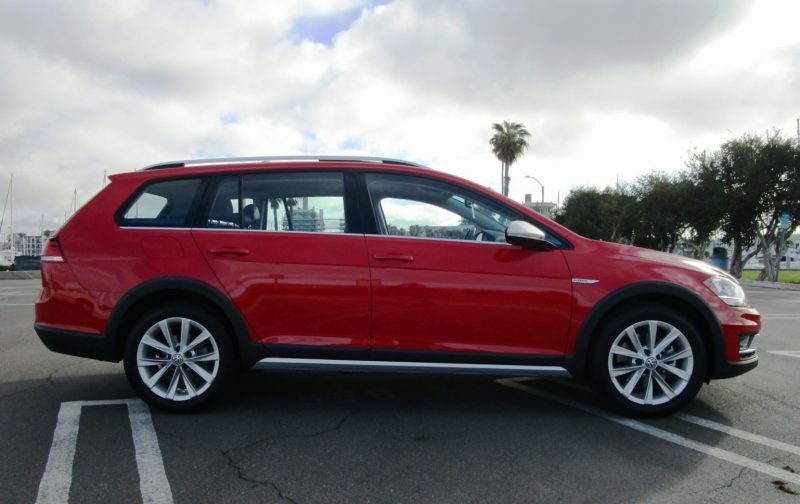 The Golf Alltrack is certainly a Golf Wagon – and no complaints there, it’s a crisp, friendly, modern design. 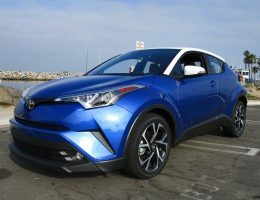 But helping to sell its outdoorsy vibe, there’s an 0.6-inch taller ride height over the regular wag, and some tough-looking cladding that wraps around to the redesigned bumpers – the automotive equivalent of 5 o’clock shadow. 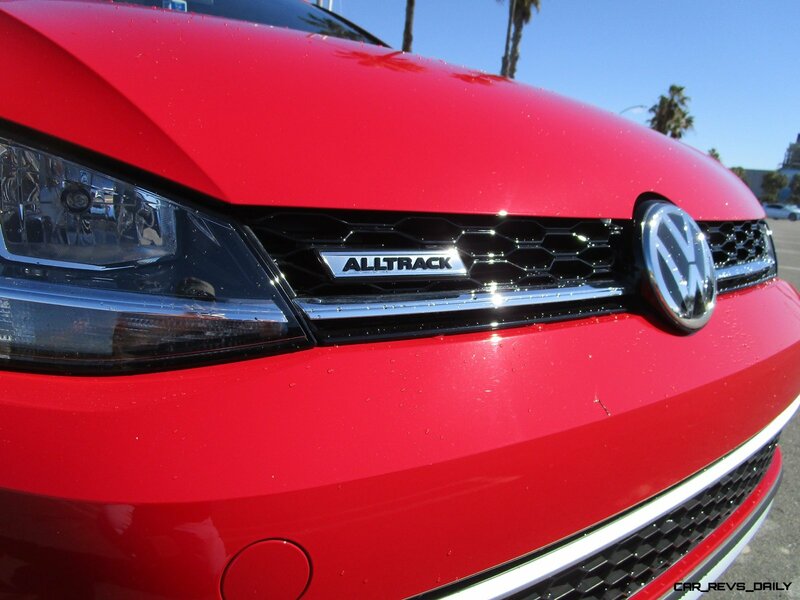 Other clues you’re looking at an Alltrack include silver side mirrors, and silver lower window molding. 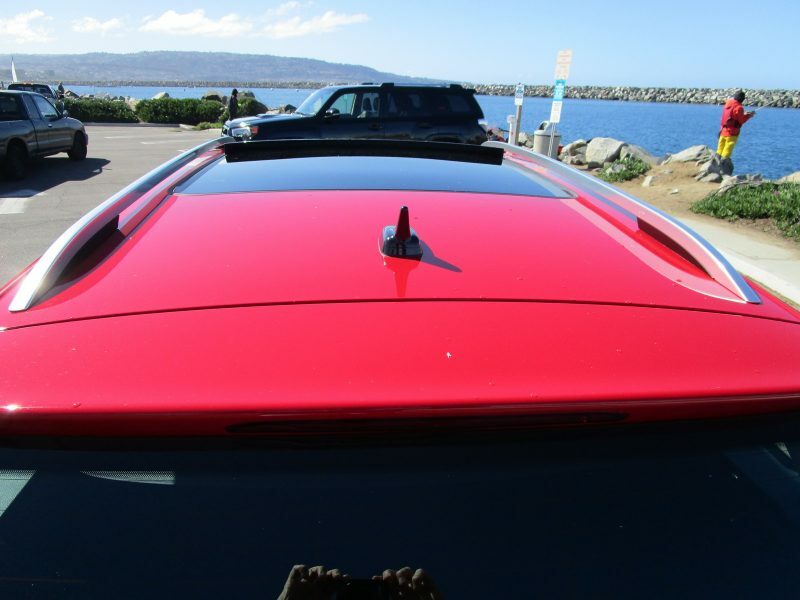 Our tester looked extra sporty in Tornado Red. 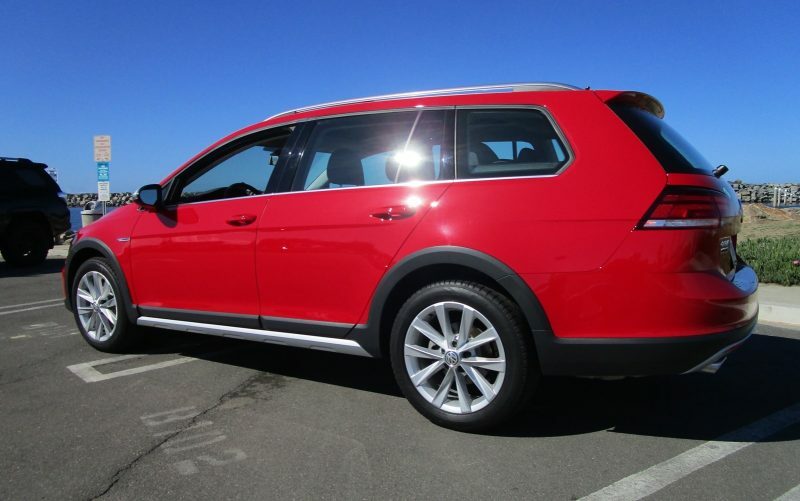 We’re so used to seeing so many VW’s in conservative Euro Silvers and Grays, that the red really popped. We loved it. 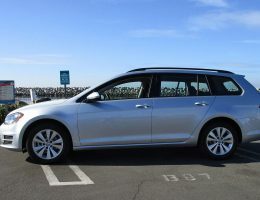 VW freshened the Wagon for 2018 (its second year) and the changes are subtle, but noticeable, with new halogen headlights with LED daytime running lights (SEL models also get LED headlights), and new LED taillights. 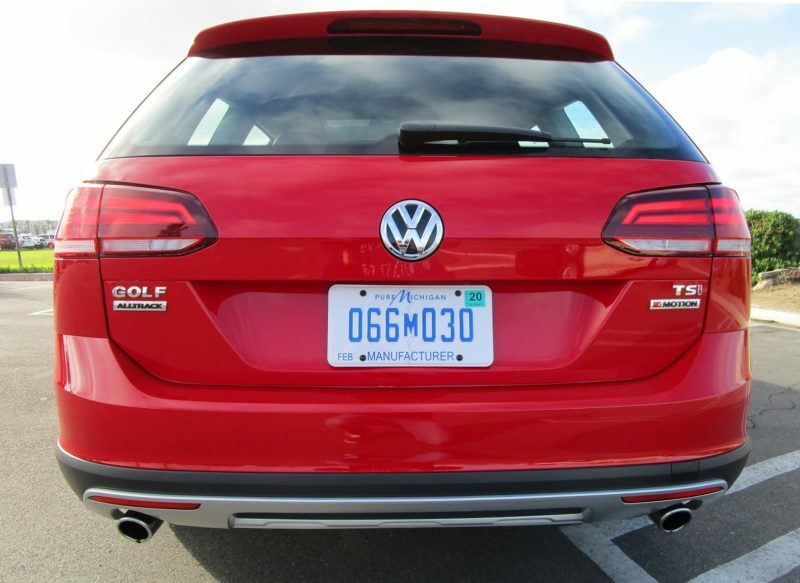 It works nicely with the rear bumper’s silver underbody and dual chrome exhaust pipes. 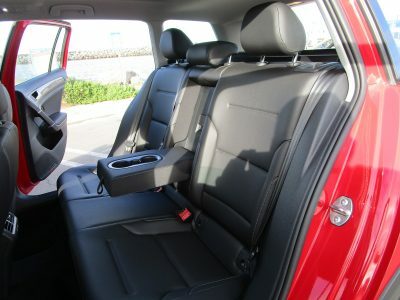 VW is well known to have interiors that feel a class above, and our Alltrack was no exception. 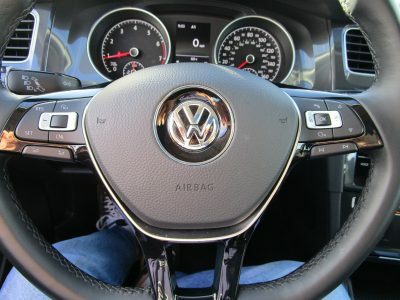 First off, the quality of materials is excellent, the seats are well-designed and supportive, and there’s nice stuff like a fat D-shaped sport steering wheel, handsome, large analogue gauges and a center stack that’s angled towards the driver for added visibility. 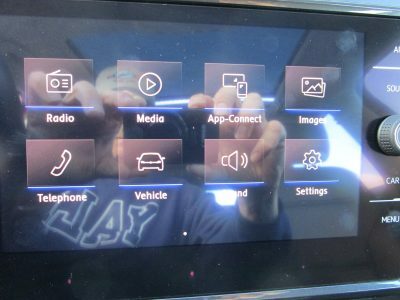 Our mid-grade SE tester included a new 8-inch display that’s sharper and brighter than before, and features USB port, JPEG viewer, and can also send and receive text messages with Bluetooth. 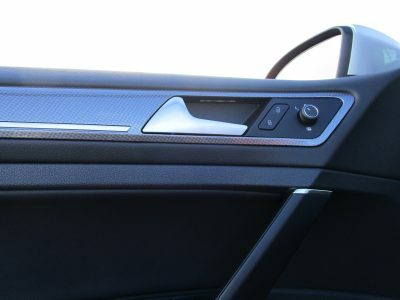 Combined with standard Apple CarPlay and Android Auto, you’re well connected. 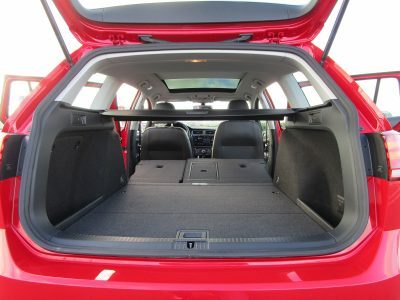 When it comes to carrying stuff, the Golf is also impressive. 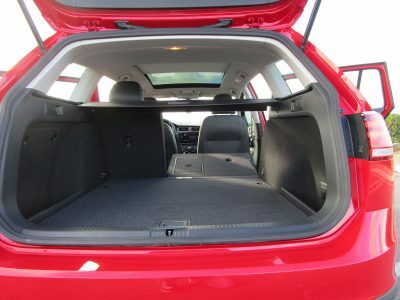 With 30.4 cubic feet of room with the second-row seats up, and 66.5 cubic feet with it folded, and a lower liftover height than an SUV, it’s easy to bring what you need. 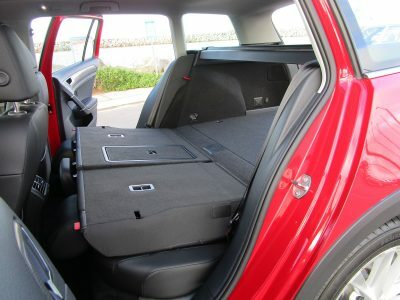 For comparison sake, a Kia Sportage, which looks much larger than the ‘dub, rings in at 30.7 /60.1 cubic feet respectively. 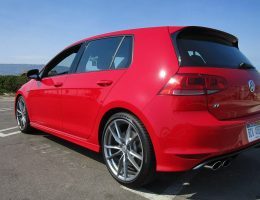 Sprechen sie a little German? 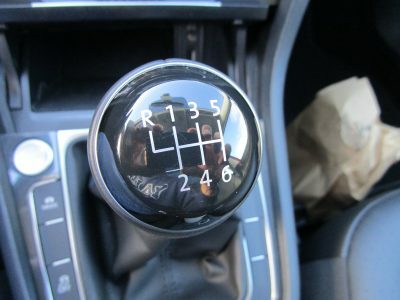 Ja! 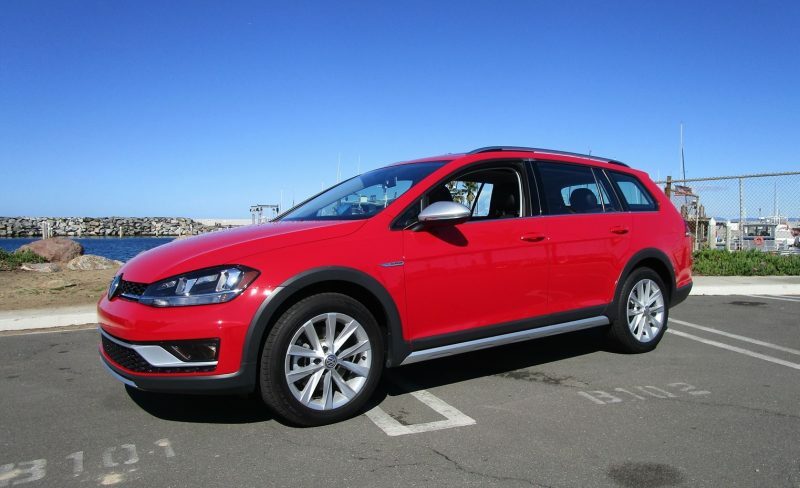 The driving experience is what separates the Golf Alltrack most from competitors like the Subaru wagons as well as SUVs. 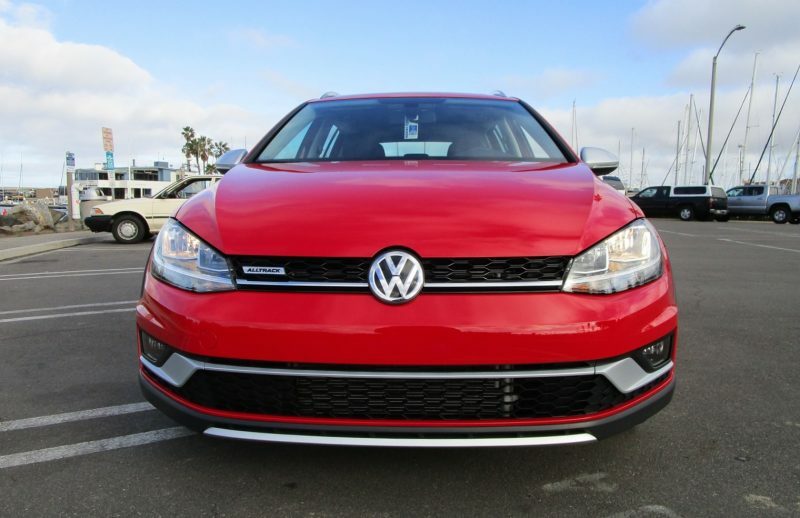 Under the hood is a VW’s familiar 1.8-liter, turbo 4-cylinder, and it’s buttery smooth, with a reasonable 170 hp and a healthy 199 lb. 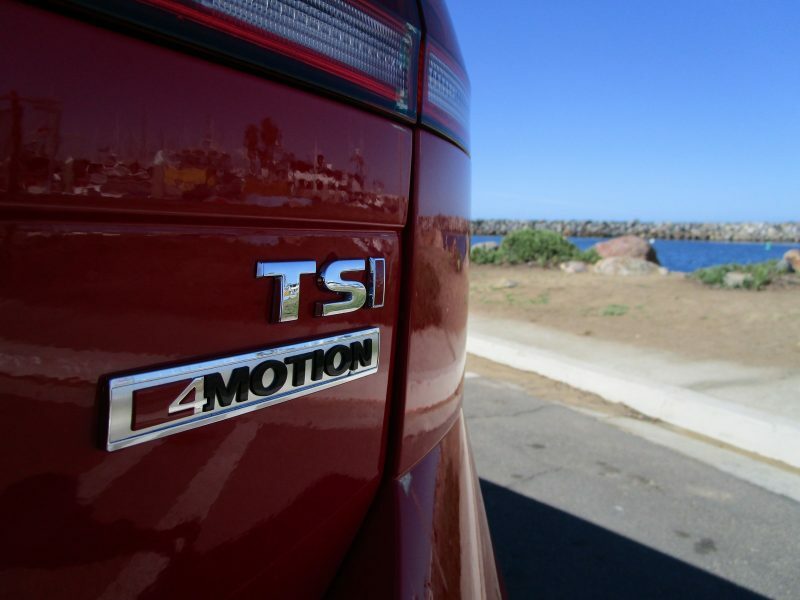 ft. of torque rolling in at just 1,600 rpm. 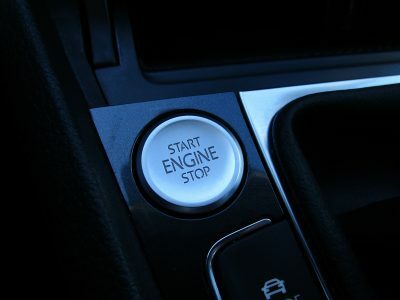 We love this motor – it always feels like someone snuck in an Audi engine at the factory – it just oozes quality. 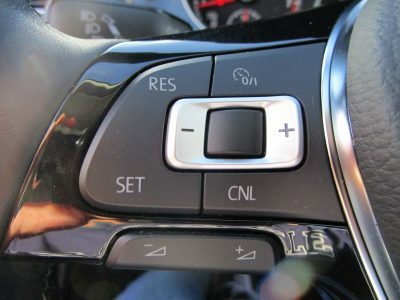 A nice surprise on our tester was the 6-speed manual transmission (not available on the top of the line SEL trim). 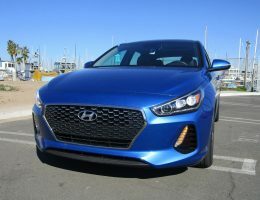 Among the surprises was how quick it felt going through the gears – noticeably faster than similar models we’ve driven with the DSG automatic – which we must say is excellent in its own right. 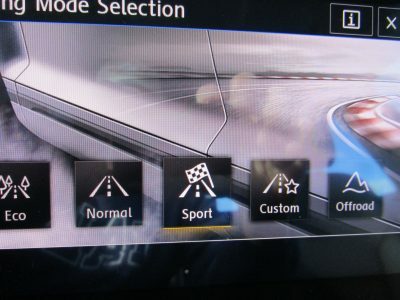 We also like the drive mode selector. We kept ours in Sport the whole time. 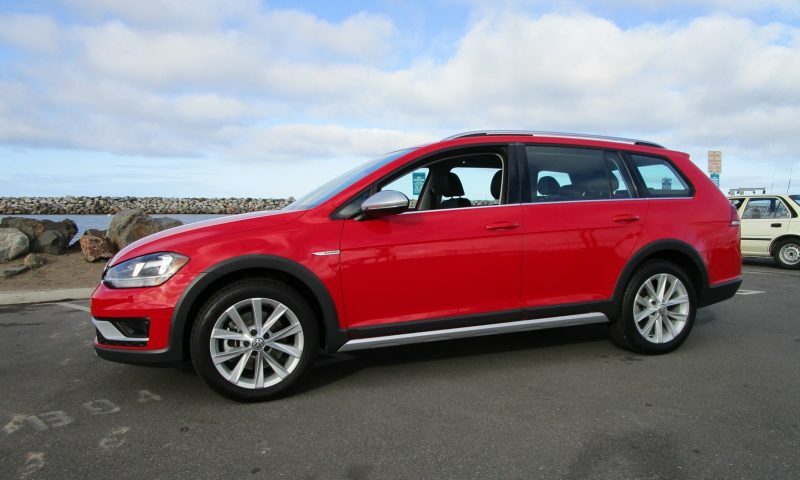 And the Alltrack grips as good as it goes, thanks to VW’s excellent 4Motion all-wheel-drive system. 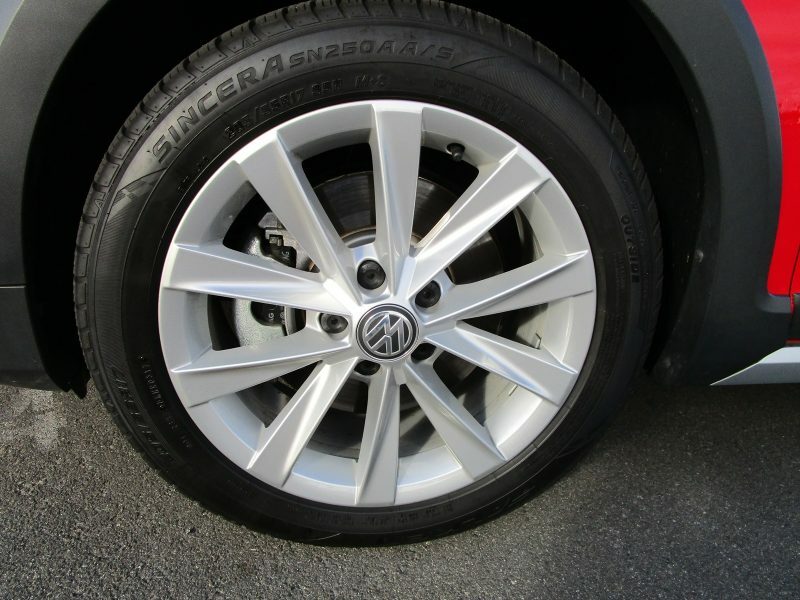 It can even torque vector, braking one side and adding power to the other, to help the Golf steer into turns. 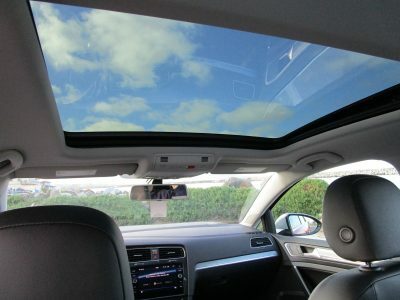 We didn’t get much chance to try the system in rain, snow or mud – probably where most buyers will go – but in the dry, it gives the little wagon delightful handling that’s crisp and responsive. 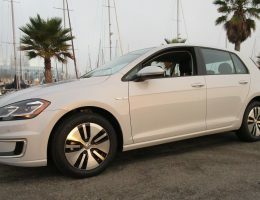 The slightly raised ride height over other Golfs may give a little extra lean in the turns, but it’s barely noticeable, and never ruins the fun. 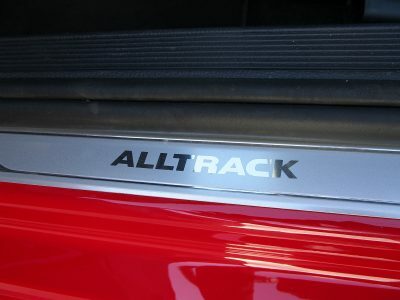 Actually, it may have helped give the Alltrack it’s superbly supple ride. 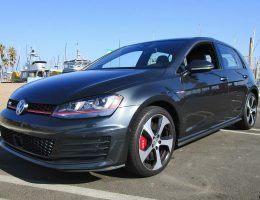 Again, it felt like someone snuck in a put an Audi Quattro drivetrain under our little VW. No complaints here. 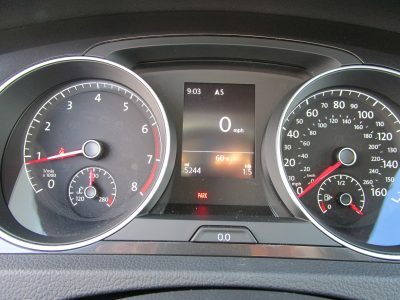 And despite our driving around like junior rally stars, we averaged an impressive 26 mpg. 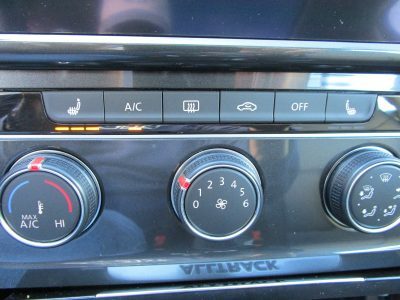 Ditto – no complaints. Nope. 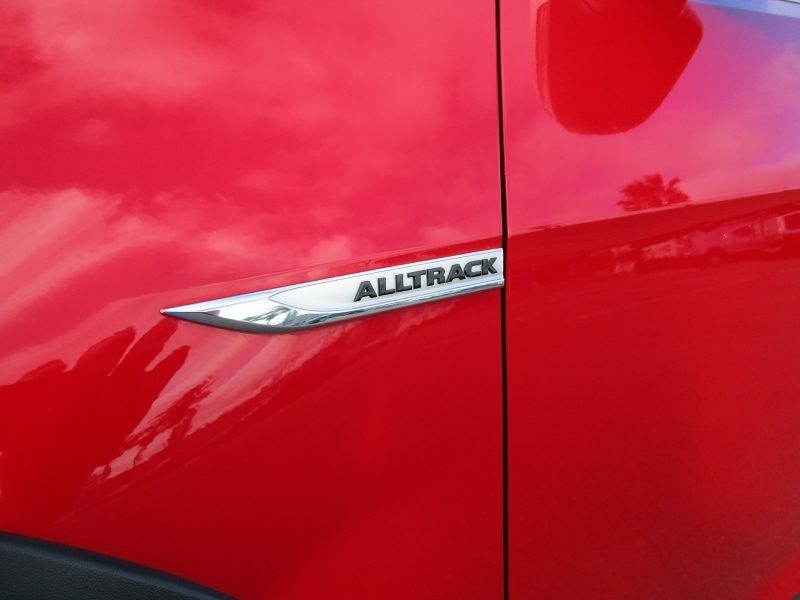 There’s still a VW badge on this wagon. 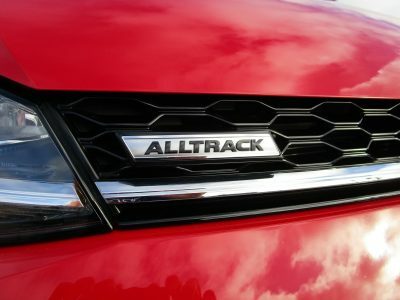 The Alltrack S model starts at $25,955 and gives you nice stuff like heated seats, rearview camera, standard all-wheel drive with off-road mode including Hill Descent Control, and Bluetooth connectivity. 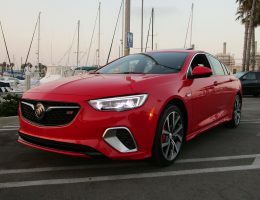 Our mid-level SE rings in at $29,765, but gives you a bunch of goodies, including Forward Collision Warning and Autonomous Braking Assist, Blind Spot Warning, upgraded 8-inch infotainment display, and panoramic sunroof. 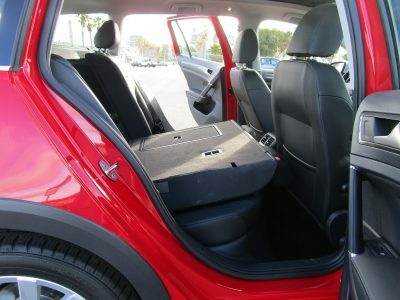 It’s also the highest trim level you can get with a stick. 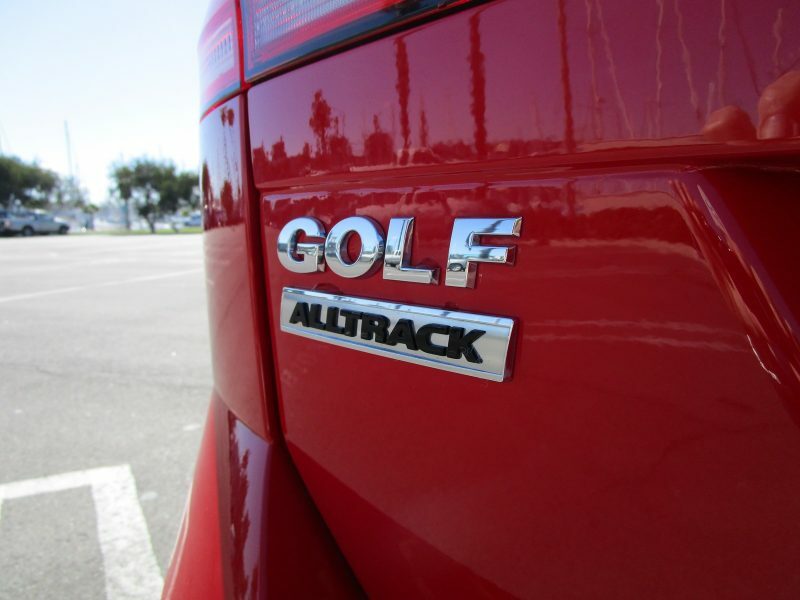 We think it’s also the sweet spot for bang-for-the-buck in the Golf Alltrack lineup. 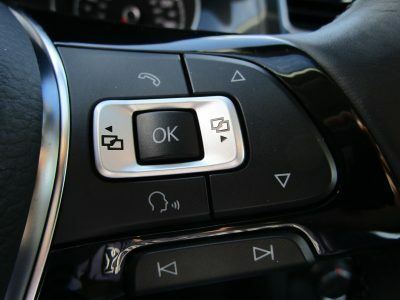 If you’ve got more buck to spend, you can step up to the SEL, and you get niceties like Navigation, Lane Departure and Park Pilot Assist, DSG automatic transmission and more. Yours for $36,650. 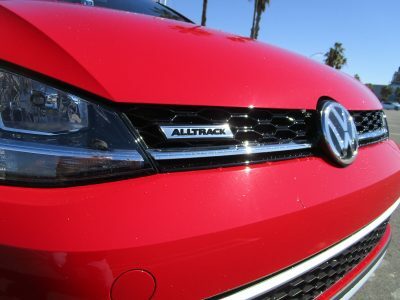 Adding to the sweetener, all Alltracks features VW’s new People First Warranty, including powertrain and bumper to bumper warranty for 6-years/72,000 miles. 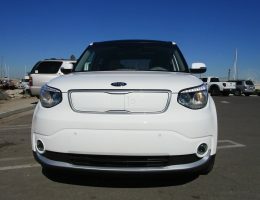 The warranty is also transferable upon sale, which should boost resale value as well. 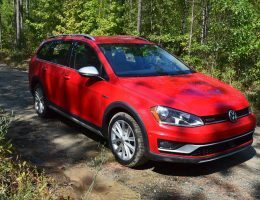 We think the Golf Alltrack could sway a lot of small crossover/SUV owners back to the wagon side with its practicality, and rugged looks. 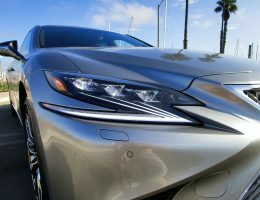 Then you throw in the great European driving experience, upscale quality feel, exceptional warranty, and it’s a slam dunk. 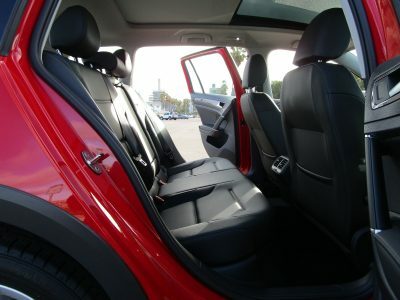 Especially in Tornado Red with the fun of a manual transmission. 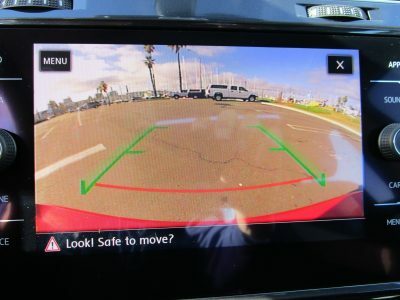 Look out SUV! 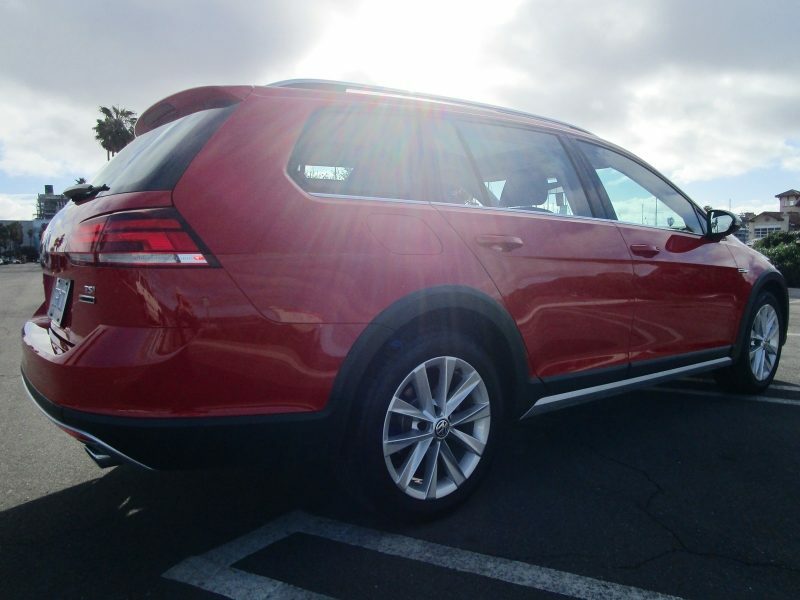 The wagon (or wagen) is back!